Among the many great things about travelling to Kentucky for bourbon events is the opportunity to purchase harder-to-find products that just aren’t available here in my home state of Michigan. While the local selection has certainly improved in the last five years, it is still a drop in the bucket compared to what is available in the larger Kentucky stores, much less the more legendary stops in Bourbon country. When we were in the Bluegrass State last month for the Bourbon Classic, we were able to fit in a bit of shopping. Now, those expecting to run into those more well known unicorns – Pappy, BTAC, Four Roses Limited Edition, etc – will find themselves every bit as frustrated as they might in their own state. But some good knowledge of stores and a bit of luck mixed with a willingness to search, and you can certainly find some unique bottles. It was with that mind set that Jen and I stumbled across a unique variation on a brand I had reviewed in February. Then, I tried the Buffalo-Trace produced, Virginia aged John J. Bowman single barrel for the first time, and found it enjoyable. 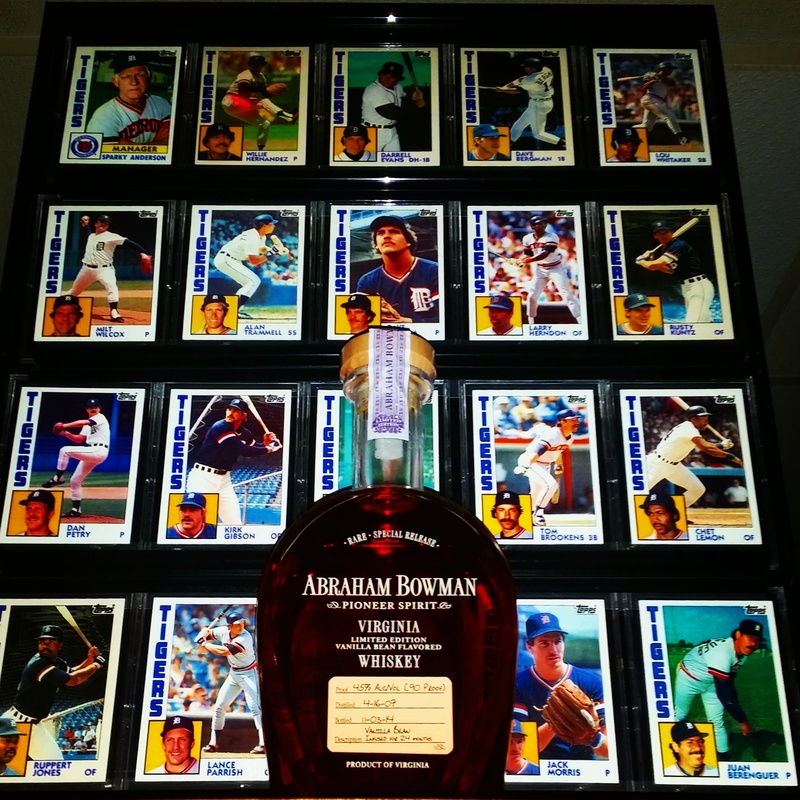 This time, we found a bottle of a Abraham Bowman limited release, aged in Vanilla beans. It certainly seemed unique enough, so we brought the last bottle on the shelf home to try for ourselves. What resulted was less a”flavored” bourbon and more of an interesting, enhanced version of their whiskey. Luckily for us, although the release was originally only supposed to be available in the Bowman home state of Virginia, we found a bottle in Kentucky, so a few got out. Was it any good? Jen and I gave it a shot (pun fully intended). Dan: The nose is certainly vanilla-infused, but not nearly as much as i expected. There are serious rye notes here, as well as a nuttiness akin to walnut and pecan, and a soft oak smokiness. That’s not to say there isn’t an abundance of vanilla – it’s definitely there – but it does downplay some of the other sweeter notes I would expect. There’s no sweetness aside from the vanilla at all. But I think it’s well balanced. Jen: The nose is a bit too Bath and Body works for me. And I don’t have to sit around with my nose in a glass, so who cares if it smells like there should be coordinating lotions? Dan: The taste is surprising. 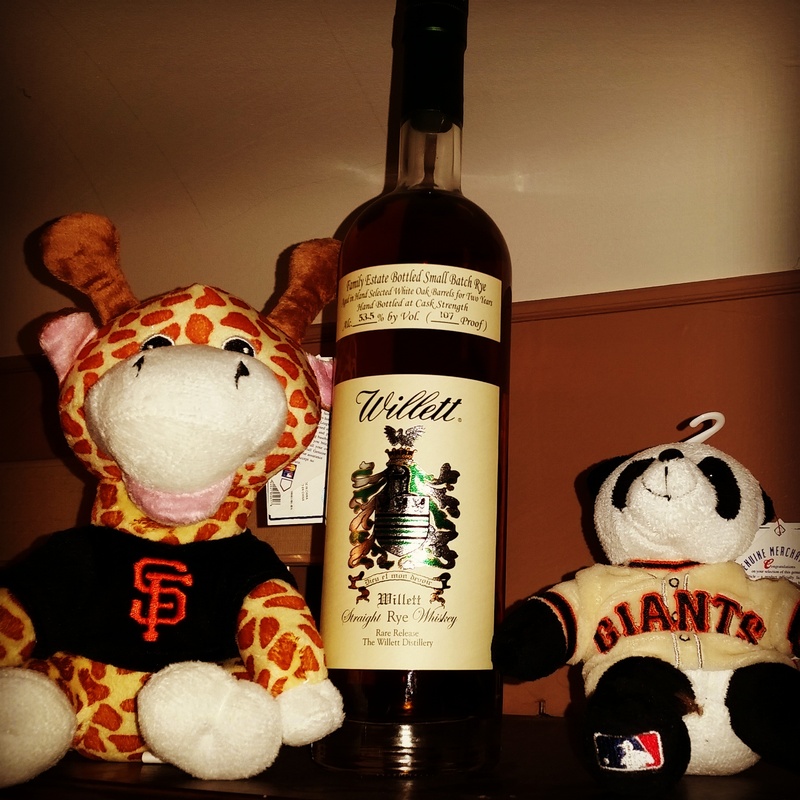 I don’t get a flood of vanilla – this is no ‘flavored’ whiskey. Cinnamon and spice, orange, with more of that nuttiness in there, along with a touch of bitterness I am going to assign to the vanilla bean. Madagascar vanilla beans are known for being rich and creamy, and while the mouth feel here is thicker than the average whiskey, I wouldn’t call it creamy or buttery. It has a flatness to it – exceptionally smooth, but not particularly sweet. Jen: But the taste was very nice. I think the vanilla flattens the complexity of the whiskey giving it a simpler taste, much like a flavored whiskey. However, unlike other cherry or honey whiskeys, the vanilla is integrated very naturally and very skillfully into the rest of the flavor profile. So you avoid feeling like a sorority girl while you drink it. It’s a very pleasant drink, and very tasty. Dan: Good call. It is a bit flat, and very smooth, and has a medium finish that is ALL vanilla. It’s hard to prescribe who this is for, other than the adventurous bourbon enthusiast. 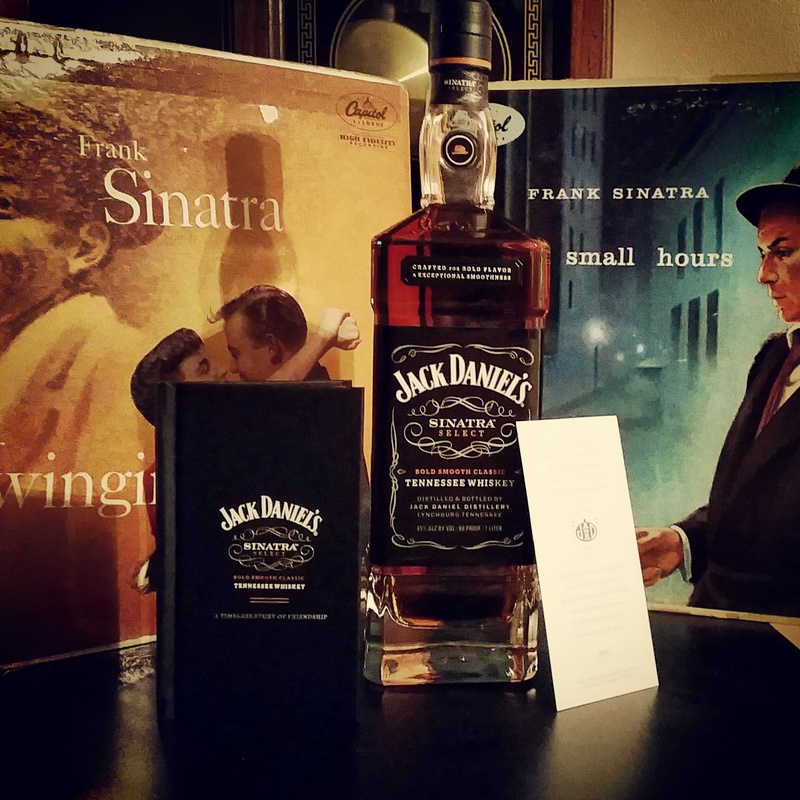 It’s not complex enough for the aficionado, not soft enough for the flavored whiskey fan. I bet it would make an awesome mixed drink. But at $70 and up a bottle, that’s a pricey mixer. We both like it, and it’s fun and different. A nice addition to the collection, but if it makes more than it’s current limited edition run, I probably wouldn’t seek it out again. The past few years, I have largely sat out the fall release extravaganza in the bourbon/whiskey world. Following them online can be great fun, but knowing so few would make it to Michigan precluded me from searching for them. Outside of the obvious Pappy Van Winkle and Buffalo Trace Antique Collection releases being hard to find, rarely have I seen an Old Forester Birthday Bourbon, a Parker’s Heritage or a Elijah Craig 21-22-23 on shelves here in the great Mitten state. THis year was different, both in selection and my personal hunt. I decided to go after more of this year’s fall releases, and was pleased to find that many more were coming to Michigan, albeit in very very small numbers. And earlier this month, when the Bourbonr Blog posted their poll winners for the best of the 2014 Fall releases, I was proud to say I was able to hunt down half of them, including 5 of the top 10. So now it’s time to start sampling them, and I opened with an absolute doozy – the 8th Edition of Heaven Hill’s Parker’s Heritage, a 13 year old Wheat Whiskey. And in a word, wow. The Parker’s Heritage label was started by Heaven Hill in 2007 to pay tribute to their Master Distiller Parker Beam. Parker Beam (and yes, he is of the Jim Beam family) has been with Heaven Hill since 1960, and been the Master Distiller there since 1975. 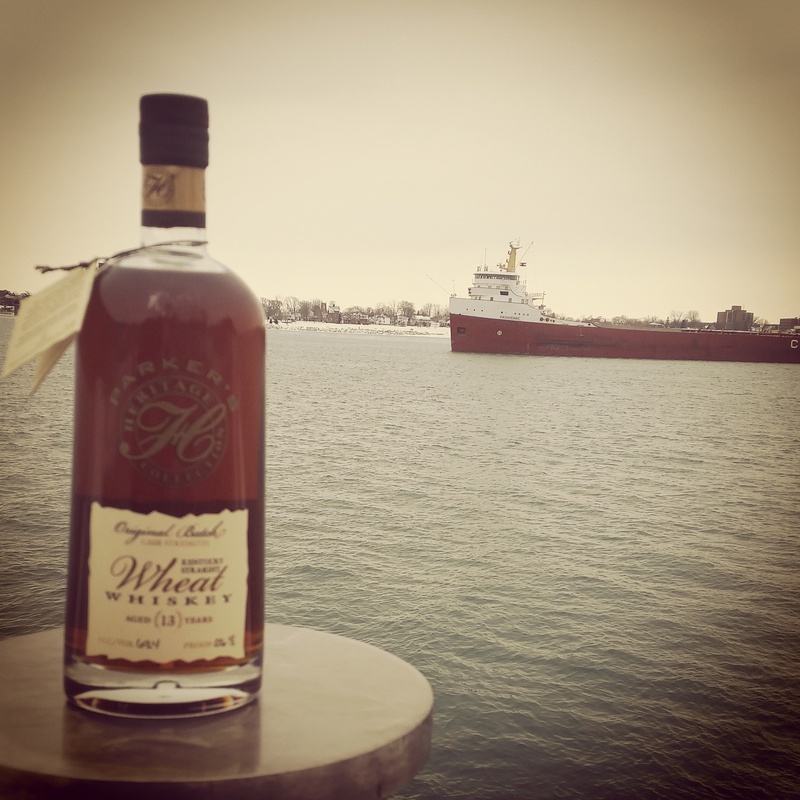 The first Parker’s Heritage, in 2007, was an 11-year old cask strength. Every fall since then, Heaven Hill has issued another limited edition, small bottling of a unique whiskey to pay tribute to Parker. This year, it is a 13-year old Wheat Whiskey, made from the initial barrels of Bernheim Wheat Whiskey. Bernheim is bottled at 7 years old, so this years P.H. has an extra six years in the barrel – and these barrels were on the top floors of Heaven Hill Rickhouse Y. It has a minimum of 51% soft winter wheat in the mashbill, and to top that off, it was bottled at cask strength and without cold filtering. This years Parker’s Heritage is the closest thing you can get to drinking it straight from the barrel. But how was it? The nose jumped out at me with a real serious burn. And why not – at 127.4 proof, it had better! I let it sit for a minute and tried again, but it was still hot and not giving away anything. A little water and things were looking up. There was a deep honey and caramel, and a tang of what I would describe as citrus. The wood notes were muted, but I got a hint of baking spices and even a fresh biscuit-like smell. The taste was outstanding. The first sip was heavy in the oak and baking spices I would expect from, well, a cask strength 13-year old wheat whiskey. But unbelievably smooth. The wood taste wasn’t tannic either – there wasn’t a bitterness, just a smooth woodiness and spice. The sweeter tastes – vanilla, a touch of toffee candy – swirled around as the thick pour subsided into a soft but lingering finish full of cinnamon and clove, and again a biscuity goodness. The first taste was so good, in fact, that I dove directly into another – and again, it was fantastic. To have such a sweet nose, a complex taste full of character but not overpowering with bitter or tannins, and a medium, smooth finish that ends dry like coconut and oak, but not harsh in any way. The Parker’s Heritage 8th Edition is one of my favorite whiskies of all time. Perfectly blended and delivered. It just makes me all that more sad that it will not be available again. Well done, Heaven Hill. Master Distiller Parker Beam was diagnosed with ALS, or Lou Gehrig Disease, several years back. In addition to a portion of Parker’s Heritage sales going to ALS research, you can visit his ALS Promise Fund page here, and support a great cause for a legendary man. First of all…Happy New Year! Hopefully you had a wonderful holiday season, full of merriment, joy and bourbon. I most certainly did, so much so that I’m just now saying Happy New Year on the 12th of January! I would be lying if I didn’t admit that part of the delay in posting a blog was due to football – between my Missouri Tigers winning a New Years Day bowl and my beloved Detroit Lions losing a game to the Dallas Referees Cowboys, I’ve been wrapped up in football fever. One of the best things about being emotionally invested in football this time of year is gathering with friends and coping with the nervousness of a tight game by sampling a new whiskey or two. And that is exactly what we did as time ran down on the Lions-Cowboys. We opened a bottle of Angel’s Envy Rye and tried something new. 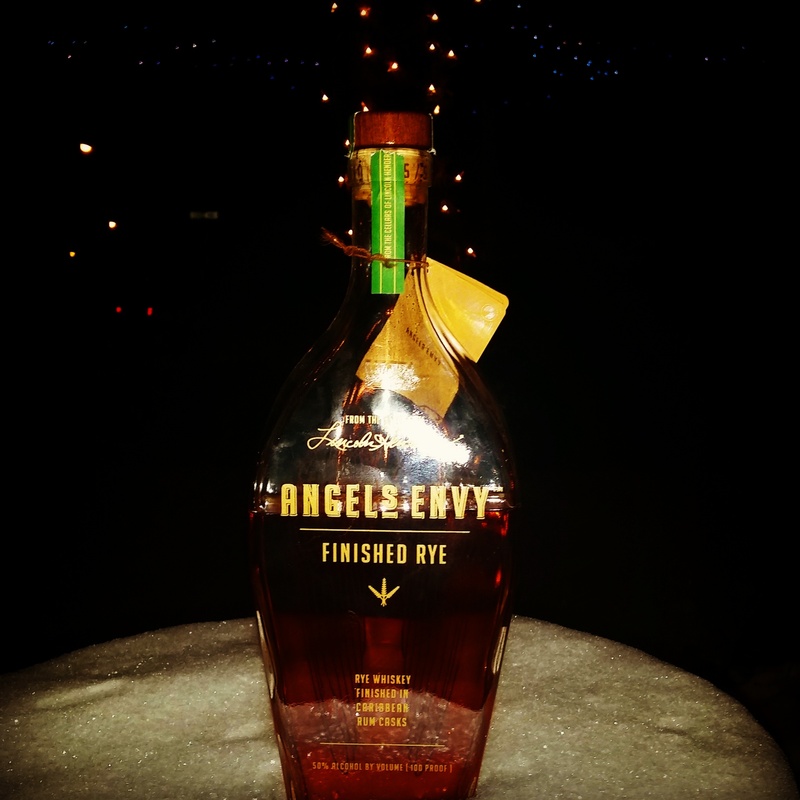 I first had Angel’s Envy Rye last year at the Bourbon Classic. I admit, by the time I sampled it, I had partaken of a few other whiskies and my palate wasn’t quite as clean as I’d like for a review. But even then, I knew there was something very different about this pour. It took a little longer for the A.E. Rye to make it to Michigan, so in May I purchased a bottle while in Maryland to have for myself. This seemed the perfect opportunity to try it. Few bourbons have grown on me like Angel’s Envy has. When I first reviewed it last year, I thought it remarkably smooth and clean – and a little dull. And I still think that it is one of the less complex bourbons I’ve had, in that price range anyway. But given the choice between a glass of Angel’s Envy and most other readily available bourbons, I have found I will choose the Angel’s Envy consistently. That has even included Kentucky Derby day! So what of this Rye? I remember trying it at the Bourbon Classic and thinking “this is like candy!” And why not – Angel’s Envy Rye is finished for “up to 18 months” in Plantation XO Rum casks. So they take a rye whiskey, and then age it for a year and a half in rum casks before bottling it at 100 proof. Sound interesting? It certainly tastes interesting. Angel’s Envy Rye comes in the same style attractive bottle as its sister. It’s a little pricier ($60-80), and a little harder to find. I have read from others that it is an MGP/LDI sourced rye, so it shares characteristics with Bulleit. And let’s skip to the chase – if you like your rye whiskies tough, spicy and hot, this isn’t the one for you. But if you like something with some sweetness, read on. This rye has a nose that’s as exotic as the trip these barrels have seen. There is little of the typical whiskey bite – rather, a sweet bouquet of orange peel, brown sugar, coconut and pear melt with a soft rye scent of clove, cinnamon and allspice. This smells sugary, much more like a rum than a whiskey, and it’s light and pleasant. The taste has a lot going on. It has a thickness to it, creamy and buttery but with many of those same rum characteristics. Honey and cinnamon, with a touch that could even be pineapple. The toasted oak is very light, and the rye doesn’t fully blossom until the back of the palate. The higher proof also shows through, and it does have a bit of a bite in the back end (if only because it started so sweet). Make no mistake, it tastes like whiskey, not rum, but the typical pepper of rye is far offset by the sweetness that envelopes. The finish is, admittedly, a bit confusing. The rye notes are there, with their spice and slight burn, but there is the thickness of rum as well. The sweetness, so nice in the sip, is a bit muddled in the finish. I like sweet drinks, and I like mellower whiskies, so I rate this one with a pretty big caveat – this is not your grandfather’s rye. It may share a recipe with Bulleit or Dickel, but the finishing makes it wholly unique. This is a great whiskey for a summer night, I believe (or a winter night you want to pretend). As a taste profile, it might even be closer to the glut of “flavored” whiskeys on the market – but it has a few things none of them seem to: it’s made of a solid product to start, and the flavor is much more natural than any maple or honey additive found in one of those products. So my rating is for someone who, like me, has a sweet tooth now and again.